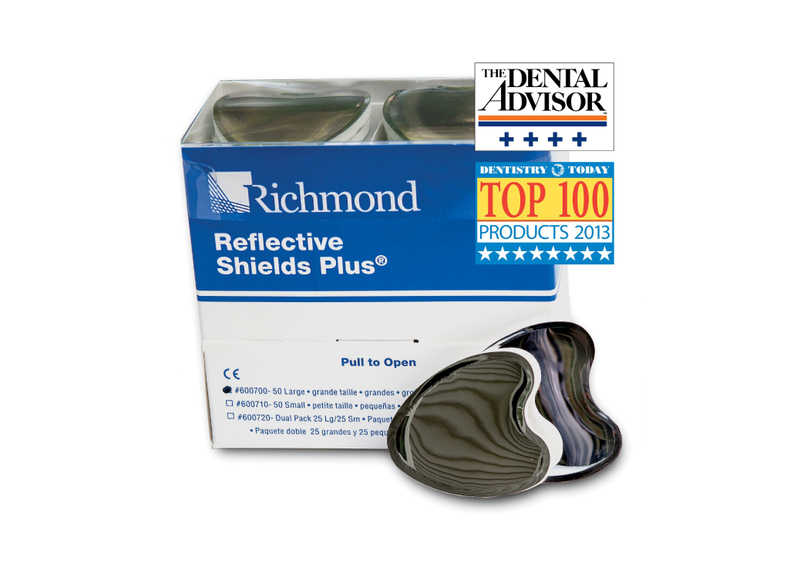 Richmond Dental & Medical’s Reflective Shields Plus® product continues to garner high praise, and with good reason: these cheek retractors have always been a hit with dentists and patients alike since they were specifically created to provide absorption, superior illumination, and comfort during common procedures. This starts with the products’ unique heart shape and continues with its reflective film, two features that make procedures easier for dental professionals, and more comfortable for their patients. The good news about a great product is that news of its superior performance travels far and wide. Over the summer, this product has received some rave reviews that we wanted to pass along. That list summarizes the advantages of our product—and, in many ways, is similar to list of the strengths we highlight on our product page. A lot of thought went into the design of our Reflective Shields Plus®, so it’s nice to hear that it solves some of the problems that dental professionals face during treatments, and that patients ultimately benefit, too. When offering a product, we believe that’s the absolute best you can hope for. To learn more about Reflective Shields Plus®, visit our product page.